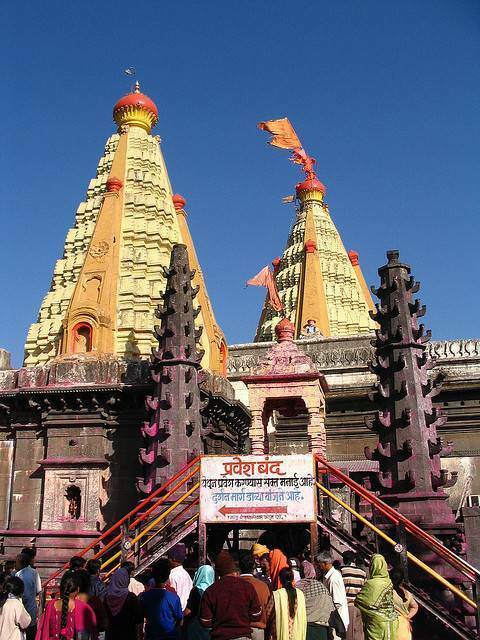 Jyotiba Temple is located 17 KMs from Kolhapur, in the Panhala range of Maharashtra. The temple is situated at an altitude of 3124 feet above the sea level. The folklore says that Lord Jyotiba was created by using the soul of God Brahma, Vishnu and Shiva to fight demon Ratnasur. Large numbers of pilgrims all over the world visit the Jotiba temple. The Major count of devotees is spread among the states of Andhra Pradesh, Tamilnadu,Gujarat Karnataka and Madhya Pradesh. Every year on “Ekadashi” thousands of devotees gather on Jotiba hill and celebrate their joy of visiting god Jotiba by dancing with the huge sticks which is known as Sasankathi.